"Aadhaar (UID) card is not an acceptable travel document for travel to Nepal/Bhutan," a communique issued by the ministry said. 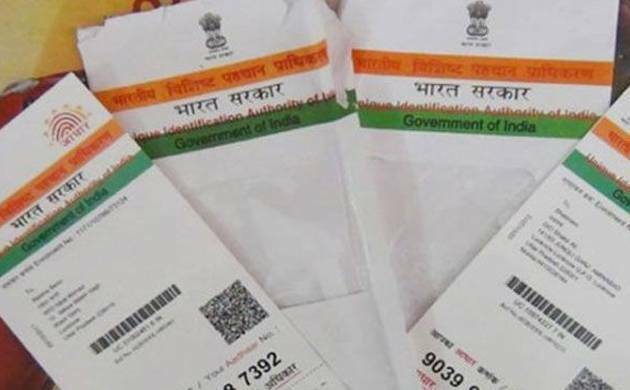 The advisory assumes significance as Aadhaar is mandatory for a host of things, including government subsidies on LPG and other social welfare schemes. The Aadhaar card, which has a 12-digit unique identification number and personal details like name and address, acts as a proof of identification and residence. Indians entering Bhutan by road are required to obtain an 'Entry Permit' on the basis of a valid travel document from the immigration office of Royal Government of Bhutan at Phuentsholing, located on the Indo-Bhutan border opposite Jaigaon, West Bengal. The border with Nepal is an open one with people who enter the country needing to show any valid identity card. Nepal shares borders with five Indian states--Sikkim, West Bengal, Bihar, Uttar Pradesh and Uttarakhand. Around six lakh Indians are living or domiciled in Nepal. Bhutan, which shares borders with Sikkim, Assam, Arunachal Pradesh and West Bengal, has about 60,000 Indian nationals, employed mostly in the hydroelectric power and construction industry. In addition, between 8,000 and 10,000 daily workers enter and exit Bhutan everyday in border towns. "It has been decided to discontinue the practice of filling up of the departure card by Indians at all international airports with effect from July 1, 2017," an order issued by the home ministry said. The decision will help reducing the time required to complete immigration-related formalities by passengers and also enable airports and authorities concerned to cater to a larger number of people.